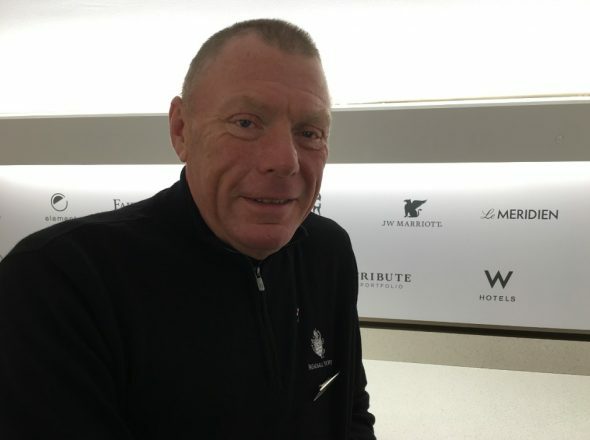 Breadsall Priory Marriott Hotel & Country Club is announcing its championship victory at the English Disability Open with the country club’s golf coordinator, Mick Horsley landing top spot. Taking place at Warwickshire Golf & Country Club, the tournament was co-sanctioned by England Golf and the charity, Balasa Golf. Welcoming more than 40 golfers with a range of impairments, the golfers competed in three handicap categories over 36 holes. Horsley opened day one with two-over par 74 on the Kings Course, followed by a day two on the Earls where he quickly took the lead with two eagles on par fives, but dropped shots pushed his score to eight-over 80. Horsley also won the Category One handicap prize with his two-under net score and took home the title by the slight margin of one stroke, narrowly beating George Groves of Copthorne, Sussex. After the success of the tournament, England Golf will take sole responsibility of the English Disability Open in 2019 with the hopes of shaping the event with disabled golfers in mind. For more information on the English Disability Open and full scoreboard for the event, click here.